Yosemite Lodging at its Best! Two Vacation Rentals inside Yosemite National Park! We welcome your questions about this property and about Yosemite! number of guests, .... we'll try to respond within just a couple of hours. please check the availability calendars before contacting us! Sunny Vacation Rental House ... full kitchens ... all the amenities of a comfortable home. ... want to wake up somewhere in Mariposa, Oakhurst, Groveland, El Portal in a roadside hotel ??? We are always available for questions and help during your stay. 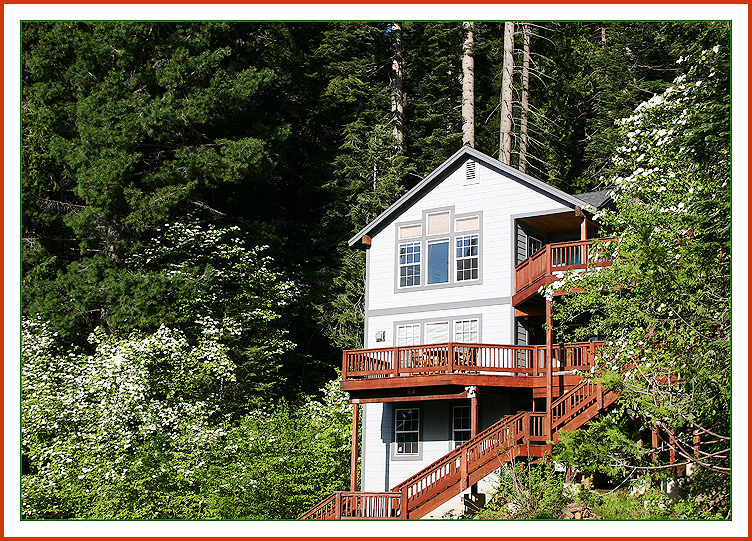 We are excited to share with you our dream getaway house, in the Yosemite National Park!